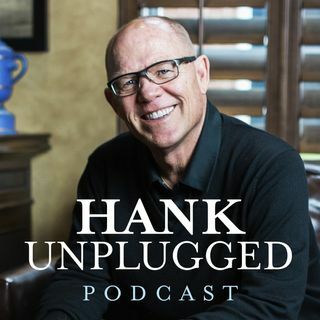 Christianity is growing rapidly in communist China, and this week Hank invites Victor Hou onto the Hank Unplugged podcast to discuss China’s potential to be the largest Christian country in the world and the subsequent global implications. Hou is a management consultant and leadership coach who has worked with large multinational corporations, entrepreneurs, and business owners in the US and Asia for more than twenty-five years. His experiences, coupled with his faith as a Christian, inform his ... See More perspectives on trends and events between Asia and the US, providing him with a unique insight into global affairs. Topics discussed include: increasing nationalism in the West, and China’s embrace of globalization (3:00); could China’s One Belt One Road initiative open evangelistic opportunities for Christians globally? (8:30); how important is it for Christians to be aware of global affairs? (11:15); underreported Christian persecution worldwide (14:00); how Christianity often grows through persecution — the blood of the martyrs is the seed of the church (17:30); the correlation between discipleship and mentorship by living out the gospel in our lives (20:30); passing the baton of evangelization to Chinese nationals to raise up the church (27:00); the five religions allowed and regulated by the Chinese government and the difference between the Three-Self Church and the house church movement (32:30); the history of China’s Three-Self Church (39:30); Hou’s testimony and conviction to truly live out the gospel (45:30); the openness to the gospel in the Global South and the importance of being equipped to evangelize (53:30); and grasping the power of prayer (59:20).